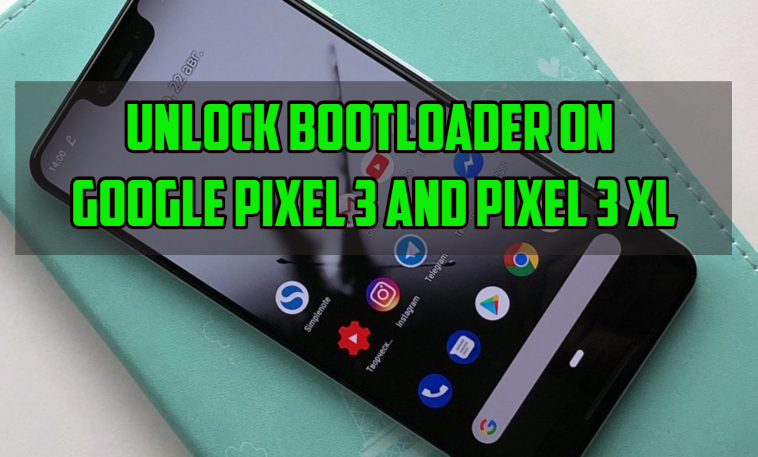 This guide is only for the Google Pixel 3 and Google Pixel 3 XL users who want to know “How to Unlock Bootloader on Google Pixel 3 and Pixel 3 XL”. Google Pixel $ phone are already available in the market and many users already bought the phone and some of them are waiting for the device. No Doubt Google pixel phone is one of the best Android phones and comes with the latest Android Pie update. But the best part is that you can unlock the bootloader of Google Pixel 3 and Pixel 3 XL without any wait time or any issues. Once the bootloader is unlocked you can do lots of thing on your phone like install TWRP, get root access and all. The only problem with unlocking is that you will lose the warranty of your phone, but you can claim it easily with locking the bootloader again. And yes unlocking will wipe all the data from your phone. So before following the Unlock Bootloader on Google Pixel 3 and Pixel 3 XL guide do take the full backup of your phone. So, make sure you backup your important data like Photos, Videos, Music and other files on the device to a safe place. Now the question is how to unlock the bootloader of Google Pixel 3? Don’t worry below is the full guide which you can follow on your phone and unlock the bootloader in 5 minutes. The process is very easy and all you need a PC and some fastboot driver to get started. So what are we waiting for let’s get started and Unlock Bootloader on Google Pixel 3. 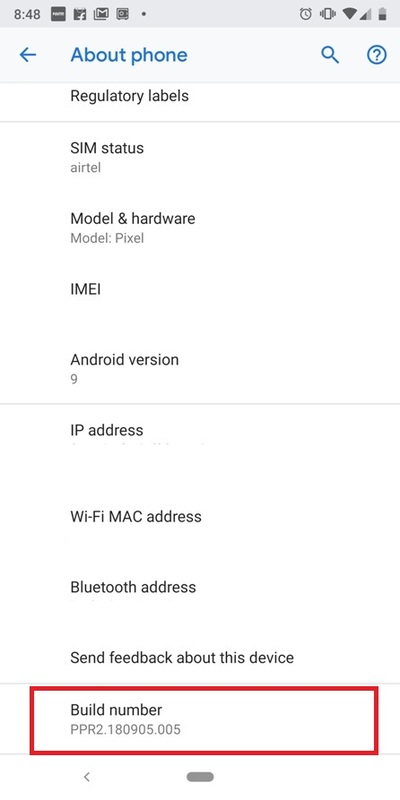 1.1 Why to Unlock Bootloader on Pixel 3 and Pixel 3 XL? Read all the steps very carefully and follow all of them one by one on your device. This guide will work on Google pixel phone which is running on latest Android Version. 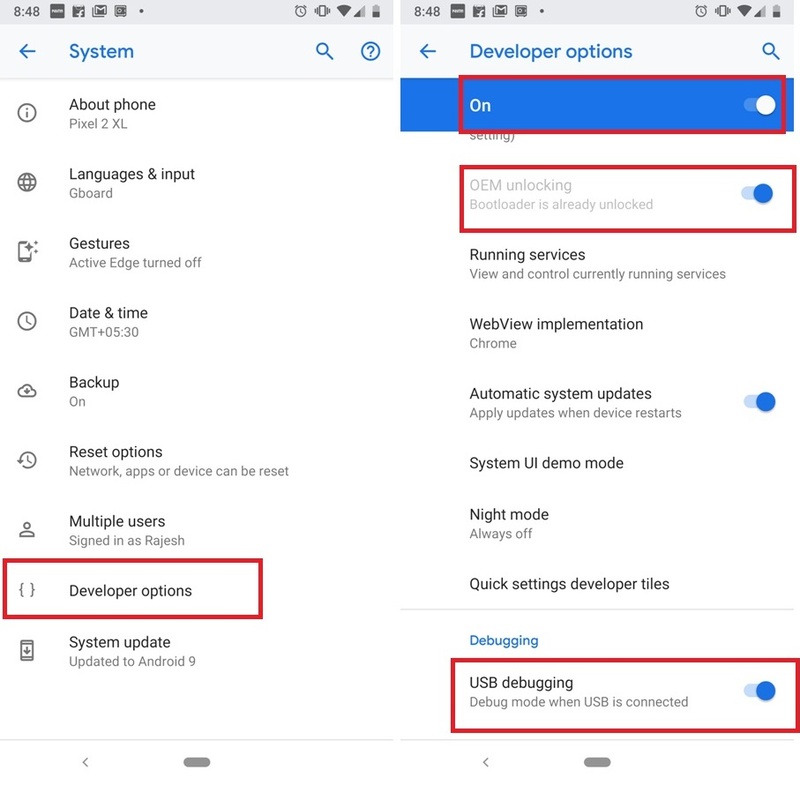 Why to Unlock Bootloader on Pixel 3 and Pixel 3 XL? Install a custom recovery like TWRP to Flash Custom ROMs. Get root access by flashing SuperSU zip file . Install Custom ROMs, MODs and other such stuff. Rescue device from soft-brick or bootloop. Before unlocking the bootloader follow these steps on your phone to avoid unlocking errors on your phone. Follow all of them one by one on your Google Pixel Phone. a) Enable OEM Unlocking option on your phone. To do this, go to the Phone Settings > System > About phone and Tap the Build Number option for Several times until it enables the developer options. b) After enabling the Developer options go to About Phone – Developer options. And Enable OEM unlocking and USB Debugging mode. Now you are ready to go to unlock the bootloader of your new Google Pixel 3 and Pixel 3 XL phone. 1. Download the ADB drivers here on your PC and install the same on your phone. 2. Now download these Fastboot files Platform tools folder here and unzip the folder on your desktop. 3. Connect your Pixel 3 or Pixel 3 XL Android device to the PC with a USB cable. 4. 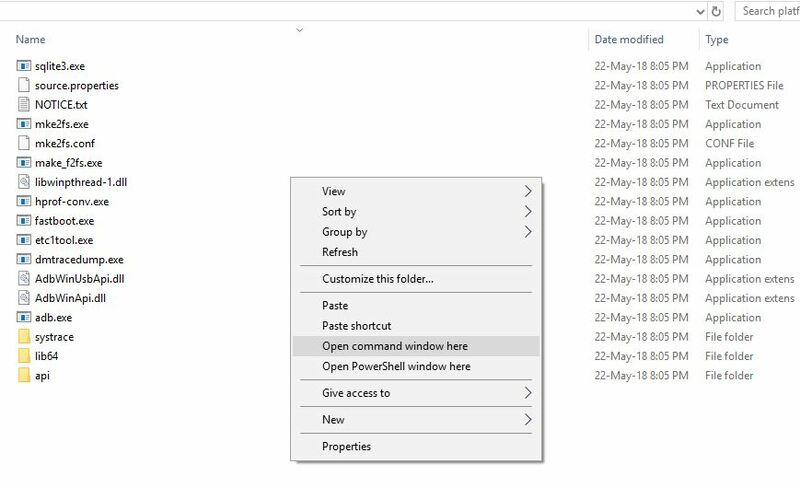 Open the Platform tools folder that you unzipped on your desktop in Step 2. If the above command does not work for you then enter the following command. 8. Now you will see a confirmation message on your Pixel 3 device. Press Volume Up button to highlight Yes and press Power button to select it. This will unlock the bootloader of your Pixel 3 Phone. 10. Now your phone will boot into system. That’s it. Your Pixel 3 or Pixel 3 XL device’s bootloader is now unlocked. If you have any doubt related to above process comment below. Now you can install the TWRP custom recovery and root Pixel 3 phone, Very soon we are going to post the Rooting guide on the blog.